It's true that Texas has cases of voter fraud, but it's more a trickle than a flood. Gov. 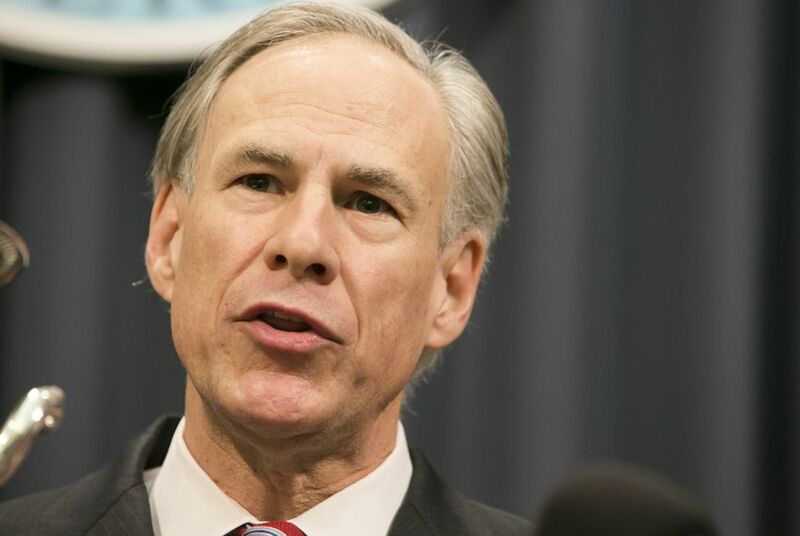 Greg Abbott says that voter fraud is "rampant," but the numbers don't seem to bear that out. He can’t back that up. Greg Abbott was asked on Monday what he thought about President Obama’s throwdown last week on the state’s lousy voter turnout. “The folks who are governing the good state of Texas aren't interested in having more people participate,” the president told The Texas Tribune’s Evan Smith at South by Southwest Interactive. The chief of those “folks” would rather limit turnout than expand on what he seems to think is an election system that has run off the side of the road. Strong word, rampant. The handy office thesaurus offers these synonyms: uncontrolled, unrestrained, unchecked, unbridled, widespread; out of control, out of hand, rife. He argued about the state’s turnout being low, noting that turnout in this month’s two party primaries combined was higher, in raw numbers, than ever before. That’s true — and also incomplete. Almost 30,000 more people showed up to vote in the 2016 primaries than in the 2008 primaries. But there are almost 1.5 million more registered voters now than there were eight years ago, according to the Texas Secretary of State. Turnout this year was 30 percent. Turnout in 2008 was 33.2 percent. The overall number of voters was 0.7 percent higher this year. The proportion of actual vs. registered voters dropped 9.6 percent when the 2008 and 2016 numbers are compared. Either way, it wasn’t impressive. Only one primary state that had voted before the governor spoke had a lower turnout: Louisiana. Give the governor his due: He and Ken Paxton, his successor at the attorney general’s office, have found instances of voter fraud in Texas. A study done by News21, an investigative journalism project at Arizona State University, looked at open records from Texas and other states for the years 2000-2011 and found 104 cases of voter fraud had been alleged in Texas over that decade. Chew on this: If you only count the Texans who voted in November general elections — skipping Democratic and Republican primaries and also special and constitutional elections — 35.8 million people voted during the period covered by the ASU study. They found 104 cases of voter fraud among 35.8 million votes cast. That’s fewer than three glitches per 1 million votes. Who likes that? Nobody, unless they’re benefiting from the stolen votes. You can’t defend fraud, but you can decide how much attention it deserves. For instance, in its 2013-14 biennial report to the Legislature, the Texas Ethics Commission has a chart on how many ethics complaints it handled in those two years. These are predominantly cases involving campaign finance and lobby reporting by candidates, officeholders and the people who are paid to try to win their influence. In that single two-year period, the commission resolved 227 complaints through agreed orders out of 513 sworn complaints that were filed with the agency. To recap, that’s twice as many ethics stinkers in two years than voter fraud stinkers in 10 years. The mechanics of this are inescapable: State officials don’t seem to want to change the voter laws that got them elected, using the “rampant” fraud in the system as their excuse for laws that keep turnout low. But the same officials regularly gag on proposals to tighten the laws that regulate their own political money and behavior. They’d rather blame the customers — or turn them away.